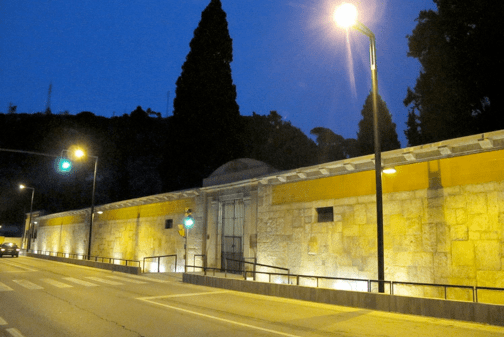 Girona’s City Council considered the construction work as part of the Fons Estatal d’Inversió Local (State investment funds) the renovation of the historic perimeter wall of the cementery of Girona, which was originally the work of Rafael Masó, the Catalan Art Nouveau architect. 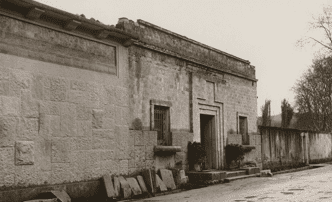 The wall of the cementery in Girona was the last work in the Noucentista style period of the architect Rafael Masó. It was built between the years 1917 and 1919, and it is full of symbolic elements which refer to theological and liturgical elements. In terms of symbolism, this project has a very clear value as a reference to his liturgical works, based in the knowledge from the Cercle Artístic de Sant Lluc de Barcelona, in which a more renovated liturgy is chosen, and has the most pure Christianity and primitive aesthetics from early Christian art as a source of inspiration. From a general point of view over the works of Masó, this one is situated at the end of the Noucentista period, with the most creative stage of the architect being fully confident about his way of expression towards the end of the period 1912 to 1918. Afterwards, Masó redefined his architecture adopting a more conservative and academic stance. The intervention proposal on the wall has two main objectives: In the first place, to give it its own value, giving a new emphasis to its value in terms of heritage: the textures on the stone wall and the ceramic elements, the symbolism of its sculptural reliefs, the composition of the black clay... Secondly, the aim is to emphasise the essential characteristics of the wall by treating its surroundings, such as a large walking path and a selective illumination of the different elements. 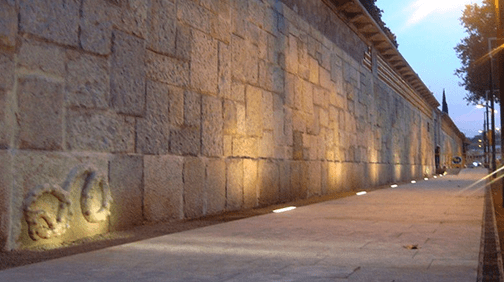 It was proposed to carry out the general work in three phases: the first one being the section of the walking path was renewed with the creation of a new avenue for pedestrians and the construction a retaining wall with a rail and illumination. 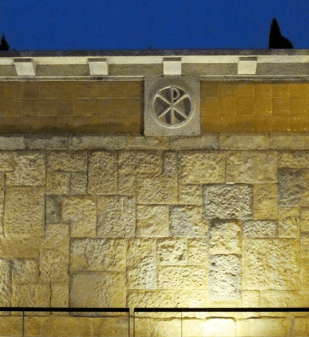 The following phases contemplated a renovation of the main gate, the interior and exterior features of the wall, also on the lateral gates and finally illumination on the outside of the gate was installed.